Hello loves, coming at you straight from my living room this afternoon. If you haven't noticed we tend to do a lot of rearranging in this little studio apartment of ours. If you remember when I first moved in my biggest tip for making a new space feel like home and lived in is adding rugs. 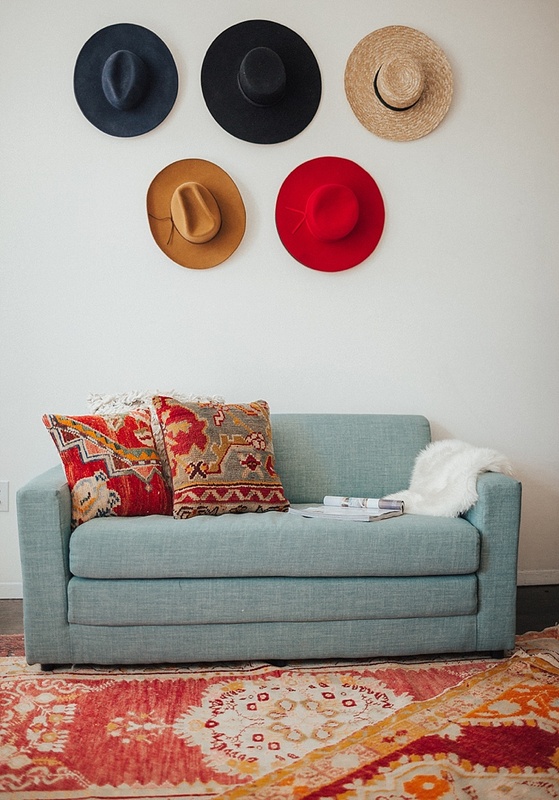 I am all about the laying and selecting two rugs that don't make sense at first, but when put together make some magic. My decorating is pretty eclectic, I am obviously inspired by my roots of living on the west coast. I like warm colors with lots of pretty stained wood and subtle pops of color. I was really excited to find Antik by Sarah in the city. Her family owns J&D Oriental Rug Company which has been a family owned business for 3 generations. 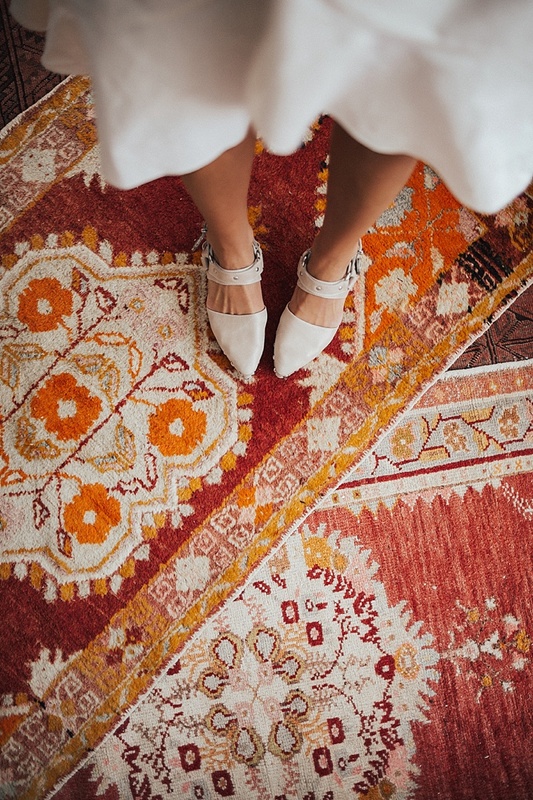 All of their rugs are antique and one of a kind! Sarah is now curating her own collection from within the family biz and I must say it's fantastic. Cole and I went into the showroom and found ourselves over the moon running around laying on the rugs trying to decide, out of the millions, what to choose. (ps. this would be a fun date idea to go to the showroom and give it a gander, it's like a museum!) Any way I highly recommend checking it out. Oh another important thing I wanted to mention, her rugs are priced insanely well, I think it's hard to find one of a kind antique rugs that are this cool and this well priced, trust me I have looked! I wanted to start something fun because this seems to be of interest to you guys and I thought we might as well share what we are up to with each other. From now on I will be using the #bytezzahome hashtag to share new home decor or tips. Add that to your own home decor photos so I can see what you are up to, it would be AMAZING!